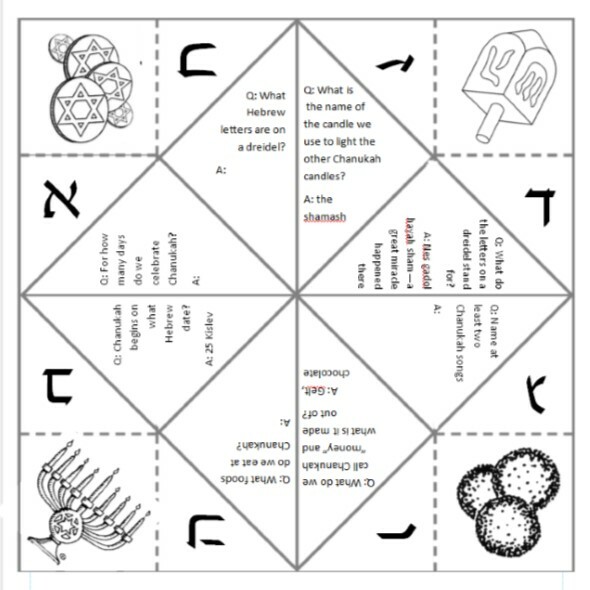 4 Responses to "Chanukah learning chatterbox (cootie catcher)"
Excellent! 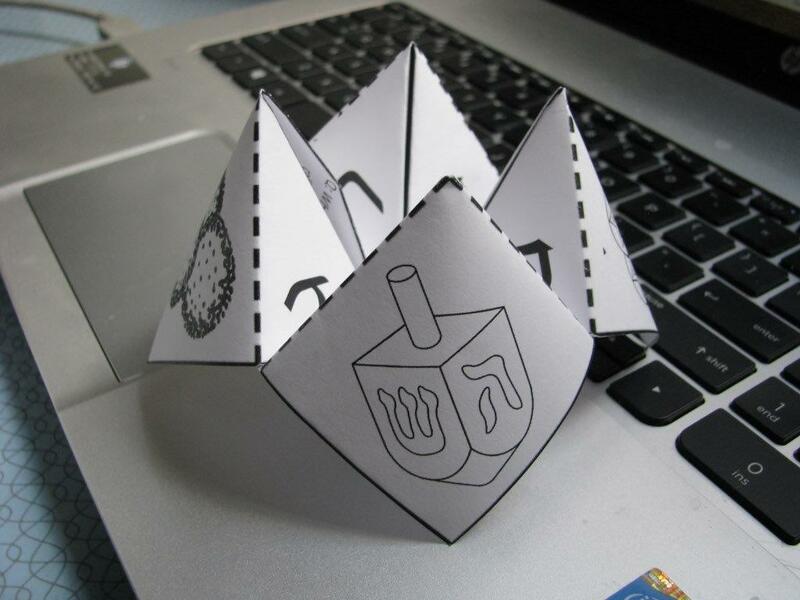 Today is Dreidel Day at school, and this will be ideal for free choice time. I especially like the fact that it has questions and answers which require interaction. And Hebrew letters. I’ve never heard it called a chatterbox before (only cootie catcher and fortune teller). No matter the name, there are always kids (and adults) who find the game irresistible. 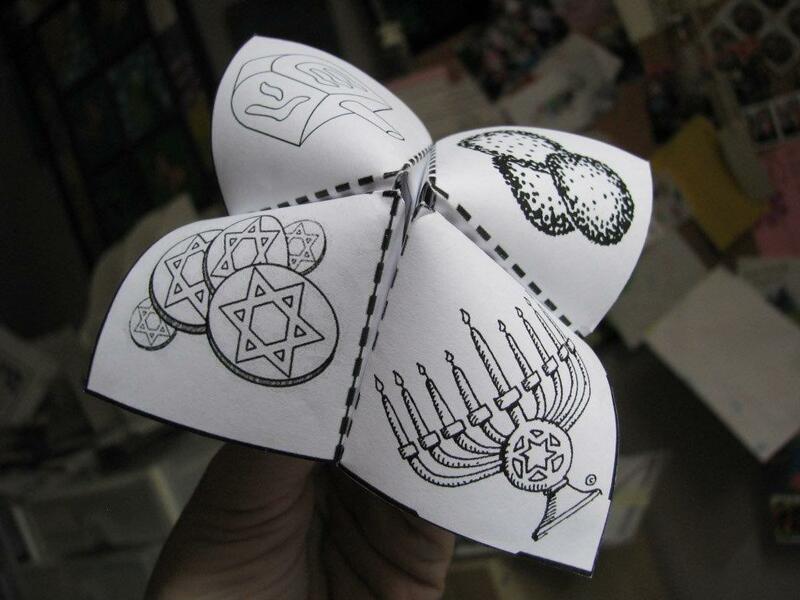 I remember them being called chatterboxes, but a ‘cootie catcher’ is a new term for me! I’d love to link to this post in my 2016 Handmade Hanukkah tutorial round up. Can you please get in touch? I just discovered your wonderful jewish crafts blog. Obviously you aren’t updating it anymore, but I wanted to thank you for leaving it up online. I see a lot of projects to do with/for my little ones. Todah rabah!